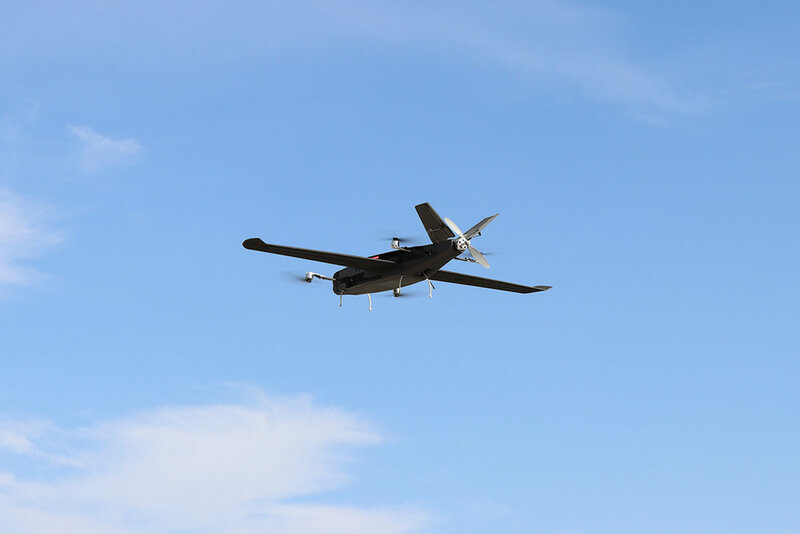 The 2019 SkyProwler 2 is the second generation of our VTOL transformer UAV. Fly up to 80mph/130kph fast, fly for up to one hour. For vertical take-off and landing (VTOL) SkyProwler 2 transforms by folding out its arms. 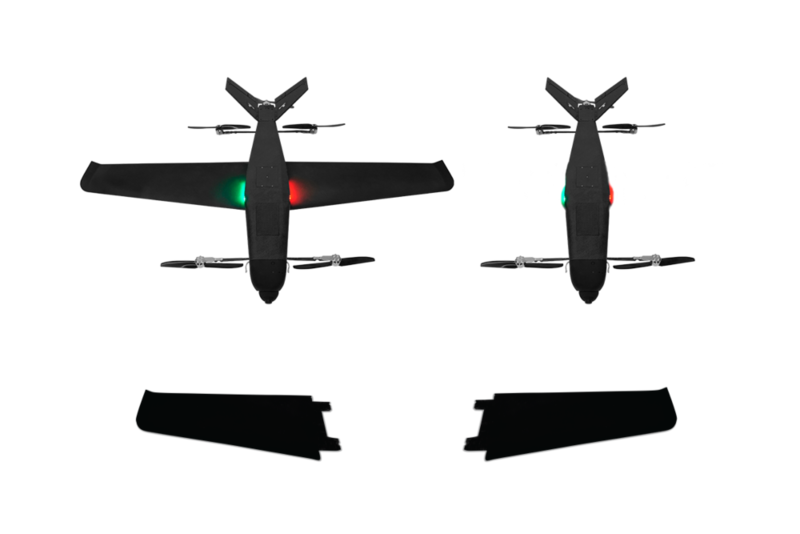 When transitioning to fixed wing flight it folds these arms in to reduce air drag. SkyProwler’s 4K camera is 3D stabilized. Use the drop door for deliveries. Remove the wings, and you have a high performance quadcopter with thruster. 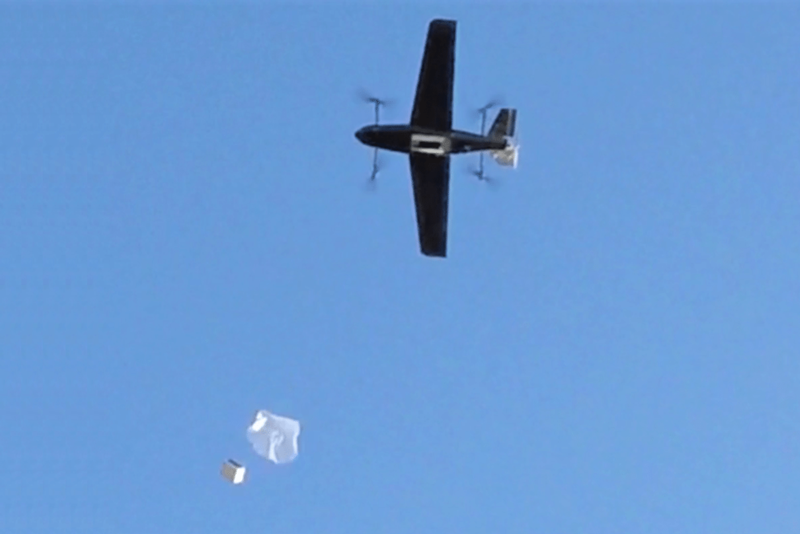 You get two UAVs for the price of one. 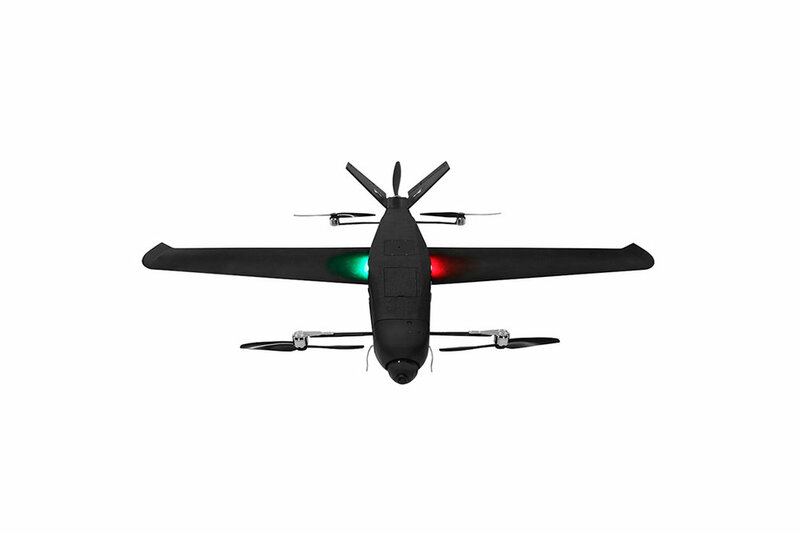 Sign up now to receive a discount coupon you can use when you order your SkyProwler 2 VTOL Transformer UAV. We will NOT bother you with email verification, so we ask you to please ensure that the email you input is CORRECT. Thank you. We respect your privacy and never share your details with anyone. We will email you very rarely, never regularly. May we ask you to note this down please? We will shortly send you an email with this information as well, but your coupon code has already been activated. The discount coupon is valid until 31 May 2019. How is the 2019 Skyprowler 2 better than the 2017 Skyprowler 1? SkyProwler 2 is faster, more stable, able to lift more, and able to endure longer before the battery has to be changed. It’s also easier to use and more quickly deployed. The patent pending switchblade mechanism forms the basis of the transformation of SkyCruiser and SkyProwler. Airplanes need to fly fast and to fly fast you need to be as aerodynamically clean as possible. That's why airplanes are long and narrow, somewhat drop-shaped and with as few 'things' sticking out as possible. For vertical take-off and landing on the other hand, you need to be the opposite of aerodynamic. The more things you have sticking out producing lift (think of the extreme of a parachute for example) the easier it is to hover. This is the main reason why helicopters which a great at hover, are not very good at forward flight, being slow as well as needing a lot of fuel. 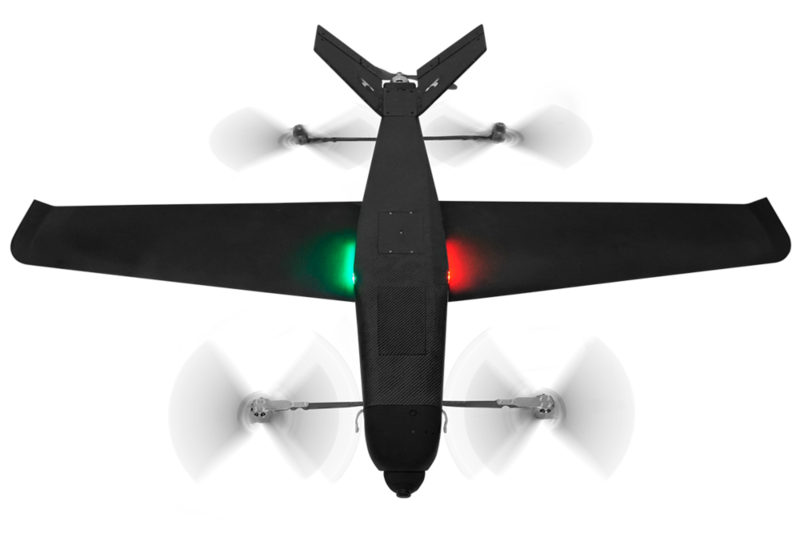 The switchblade mechanism transforms an aircraft from the aerodynamically clean airplane configuration to the VTOL configuration, which features a number of rotors that together have a large rotor disc area that is ideal for hovering at low power. The switchblade mechanism is of similar technical complexity as a gear retraction mechanism and in itself adds very little weight to SkyCruiser and SkyProwler. SkyProwler can be reconfigured to fly without wings. 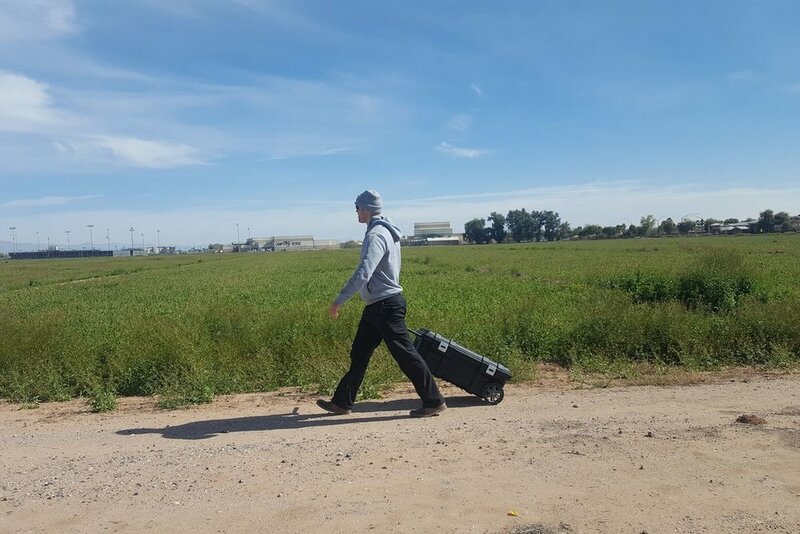 You can simply take the wings off and fly SkyProwler more like a traditional multirotor. This makes it a slower aircraft with less range and endurance. But it makes it smaller and hence more suitable for small spaces, it makes it less susceptible to cross wind while hovering and it adds duration to its hover time because without wings the aircraft is lighter. Blade configuration (with wings) and Hornet configuration (wingless). The wings are removable. 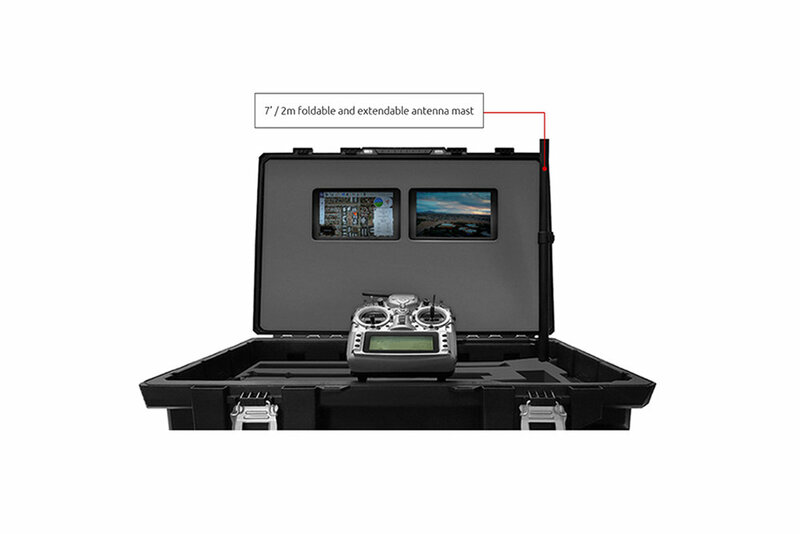 Ground control software functionality: program SkyProwler for autonomous missions independent of the radio ground station via ground station tablet, enables Mapping, Surveys, GPS waypoints including transitions from cruise flight to hover and back, Automatic photography, Autonomous flight, etc.